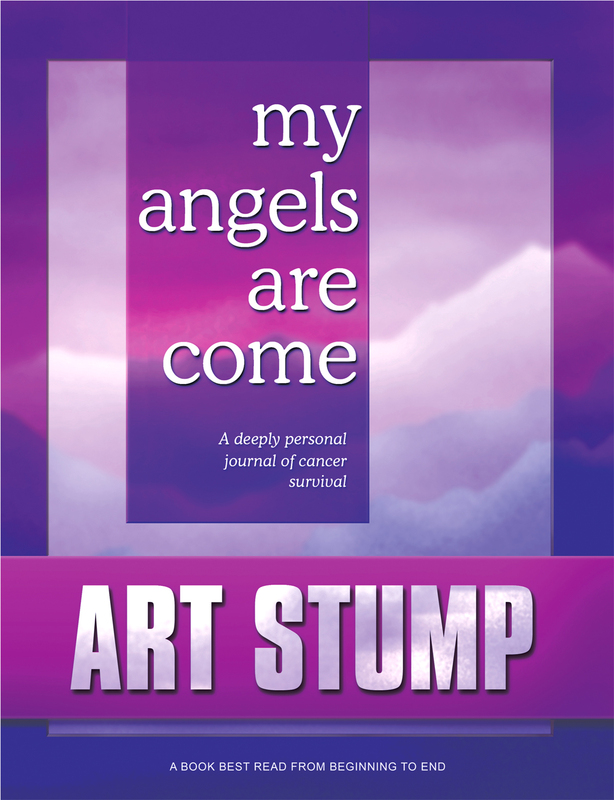 'My Angels Are Come' is a penetrating insight into every aspect of the author's life-changing encounter with prostate cancer. Its narrative is frank, bold, and information rich, offering a generous behind-the-scenes look at both the nature of the disease and the complex character of the caregivers who made coping with the disease possible. Although the author enthusiastically applauds his exceptional caregivers, he critiques outright the questionable patient privacy policies of their host institution. Time and again while discussing the work among my colleagues, I found myself interrupted by listeners insistent upon telling me of their own experiences of embarrassment and degrading humiliation at the hands of hospital mindsets. 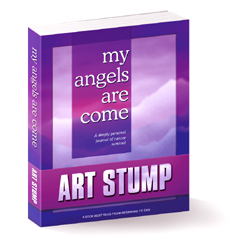 In his new book, 'My Angels Are Come', the author, Art Stump, tells of his own, highly personal struggle with prostate cancer -- from its frightening detection and diagnosis, through the protracted regimen of hormonal and radiation therapies that was his treatment from 2003 to 2006. 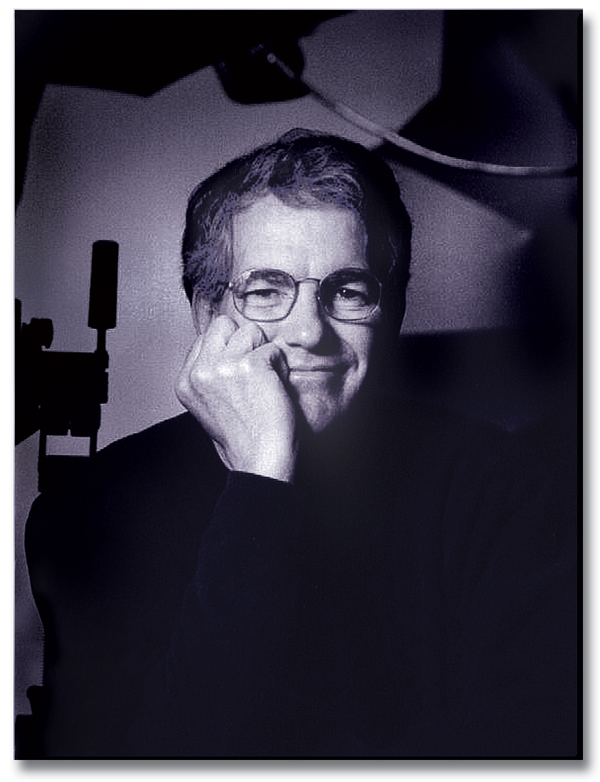 His storyline examines in detail both the disease and its treatment, delving deeply into the patient-caregiver-hospital triad that was the basis for that treatment. While praising the wonderful caregivers who treated him, the author's forthright narrative censures what he sees as flawed and exploitive patient privacy practices in the host hospital system, the Memorial Hospital of South Bend, Indiana. He is especially critical of the Hospital's practice of soliciting the patients in its care and asking them to forego their right to privacy, particularly patients at the moment of treatment, those most vulnerable and in need of life-saving therapy. Such patients are acutely aware of their situation, Mr. Stump suggests, aware that they are in dire need of the serious medical attention that they are about to receive. They may be understandably disinclined to object to any of the privacy concessions asked of them, even though they find them objectionable and personally offensive. As a consequence, privacy intrusions that are in fact embarrassing and humiliating experiences for patients may rarely be spoken of afterwards. That predictable reticence in turn results in a collective record of patient privacy violations that is vastly understated for the institution. As noted in the book's Acknowledgements, Mr. Stump found early on as he spoke with colleagues about his writing project that his own experience with privacy invasion was far from unique. He states, "Time and again while discussing the work among my colleagues, I found myself interrupted by listeners insistent upon telling me of their own experiences of embarrassment and degrading humiliation at the hands of hospital mindsets." But 'My Angels Are Come' is more than an advocacy for change in the policies and attitudes of healthcare institutions toward patient privacy rights. That theme remains a subplot in its pages. 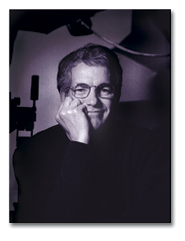 As a professional photographer Mr. Stump has a naturally inquisitive bent and offers the reader graphic insights into every aspect of his own battle with prostate cancer. Using a journal format for the book, he takes the reader along with him as he explores the complex nature of his disease - its diagnosis, its sometimes difficult treatment regimen, and its surprising emotional toll. During the busy give-and-take of the diagnosis and treatment for prostate cancer, patients often miss the opportunity to fully understand their disease. 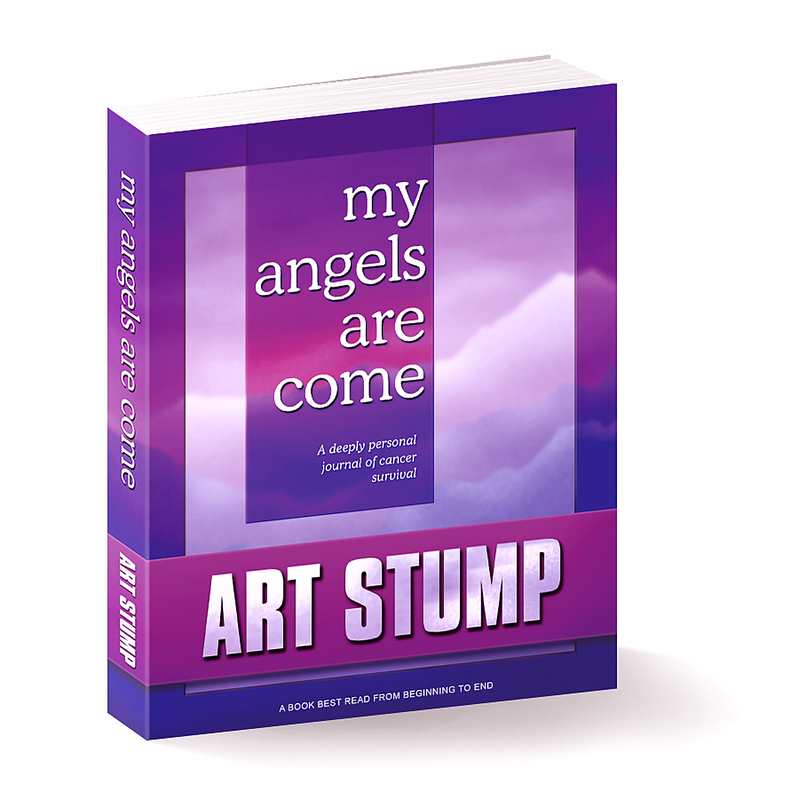 In 'My Angels Are Come' Mr. Stump's persistent questioning of the skilled medical staff attending him - doctors, nurses, and therapists alike - elicits answers to many of the same questions that those patients later wish they had asked of their own doctors. Finally, the book has a more personal level as well, turning its attention to relationships in the specialized world of prostate cancer treatment - relationships centered on, but not limited to, patient and caregiver. Prostate cancer, it seems, is not a male issue exclusively; it profoundly impacts women as well. Indeed, the publisher of My Angels Are Come posts reader feedback about the book on its website, and to date virtually all of the contributors have been women. In the end, 'My Angels Are Come' is an unabashed celebration of excellence. It is the inspiring story of the author's surprisingly intense and sometimes rocky bonding with the most extraordinary group of caregivers that he has ever encountered: it is his heartfelt expression of adoration. 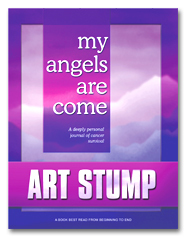 By all accounts a book about cancer survival, 'My Angels Are Come' is above all else a love story.